Imagine for a moment that your heart is like a chalkboard filled with writing. It’s covered in words and smudges. What do the words say? Now, erase those words; spray a cleaner on it and wipe away the smudge. And all of a sudden, it’s spotless. 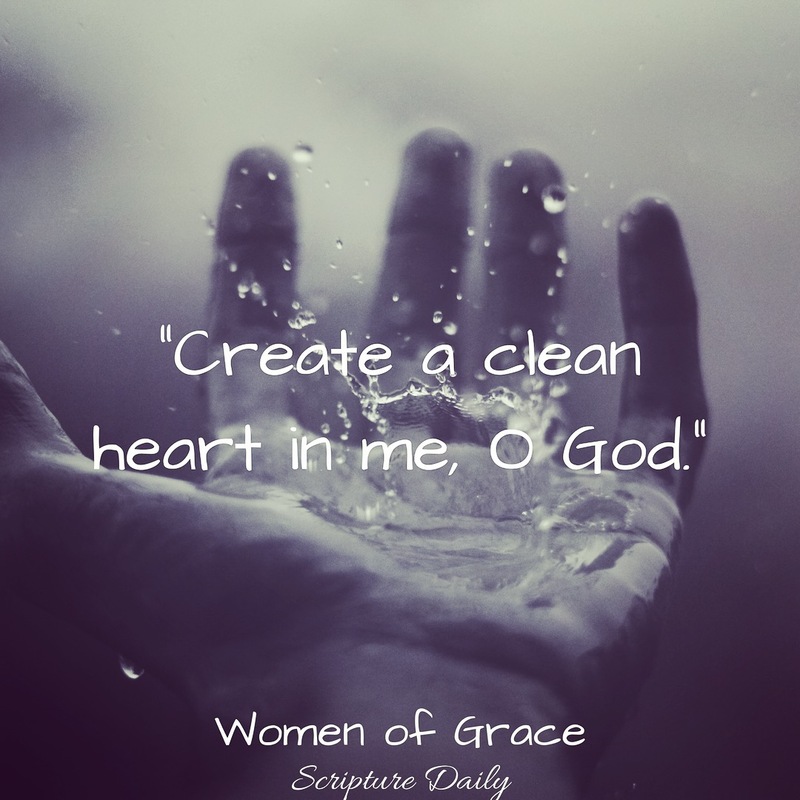 Oh, how I wish I could purify my heart that easily! But, I can’t. I cannot erase painful memories and the fears of letting others see the real me; I can’t wipe clean the scars that have toughened over the years; and I can’t break the chains that sometimes suffocate the life out of me. But, God can. 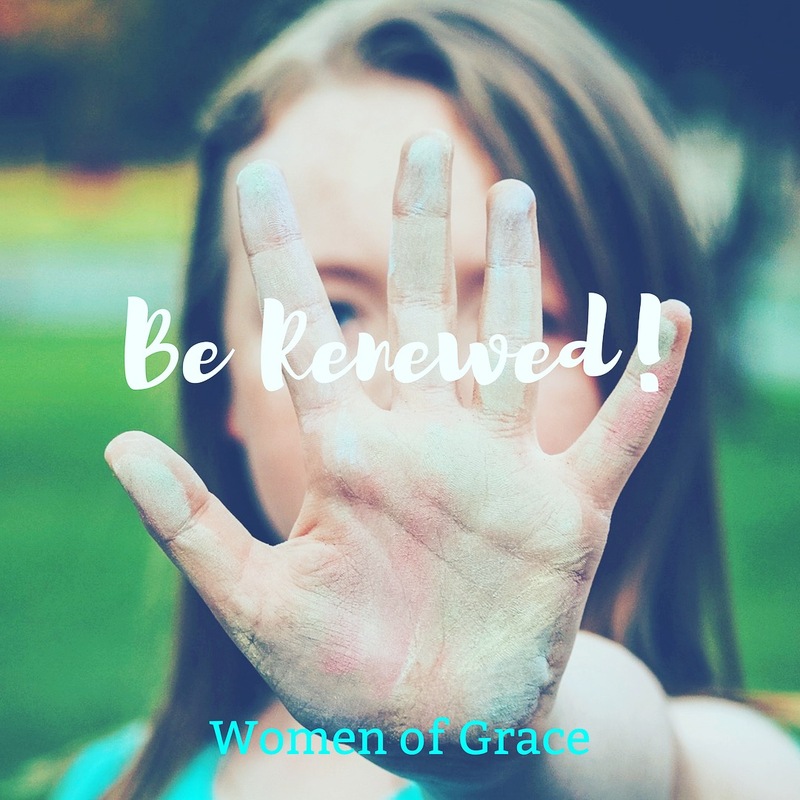 He can renew my heart in an instant (although we don’t normally see purification happen that fast in our human idea of time.). God has to work on us— He strips away layers like an onion, and every layer beneath has its own work to be done. I remember recently when my spiritual director told me that God had to do some work on me, and that it’s going to hurt. But He always uses the most gentle means possible. And it’s true. The last few months are a testament to His gentleness and charity. He has really purified my heart in ways I couldn’t imagine, although He has asked some things of me that really hurt. Surrendering can be really painful. But, I know it’s necessary. I know that heart He holds so dearly in His hands has needed some work; and I know when He’s done with this big phase of operation, it’ll be ready to experience all life and love have to offer it. And I can’t wait for that day. Is it time for you to let God do some pruning? Tell Him you’re scared, but know that He won’t do anything unnecessary, and He will give you what you need to endure it. I don’t know about you, but I love romance. Poems, letters, sweet messages— I’m a romantic at heart. I love love; I always have, and I can guess I always will. When everyone else complains about Valentine’s Day, I swoon over it…hearts everywhere! Indeed, Song of Songs is by far my favorite book. When I read my readings for the day, this line went straight through my heart like an arrow. The love I desire so strongly in life is all mine, and it’s all yours; He has loved each of us from the beginning of time. 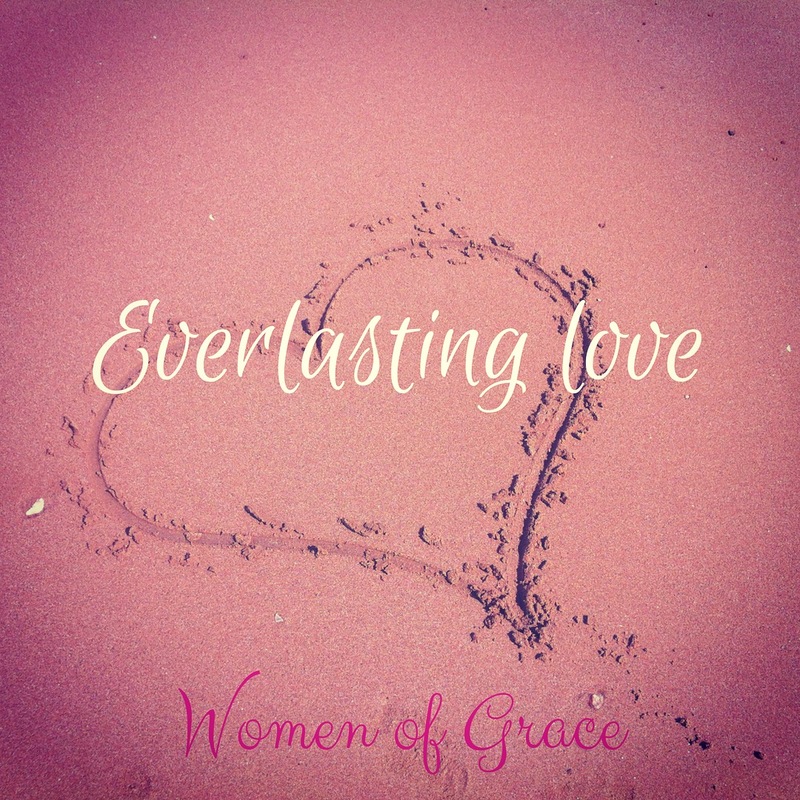 He loved us into existence, and His love never ceases to exist. And it won’t. Ever. Our love story is my favorite. He has unconditionally chased my heart for as long as I have been a thought in His plan; and giving Him my heart was the best decision of my life. And in doing so, I was free to live fully, knowing He would keep it safe and only give it away when the right person asked. So go ahead- give Him your heart. Let Him mend the scratches, heal the wounds, and protect it. Watch your heart in His perfect hands turn into something so beautiful. And know that He, the owner of it, will keep an eye on it til the end of time. He will never stop chasing you. So stop running. And fall into His wide open arms. Notice in the reading from the Gospel of Matthew today the first line: “Jesus made the disciples get into a boat.” MADE. He made them get into a boat. He didn’t “ask” them to; He didn’t “suggest” it or “highly recommend” it. He made them. And what happens next? He goes to pray, then He walks on water, and then commands Peter to get out of the boat, in a storm, and walk to Him. And Peter starts to sink. God knew that Peter needed to be tested in faith. And so do all of us. 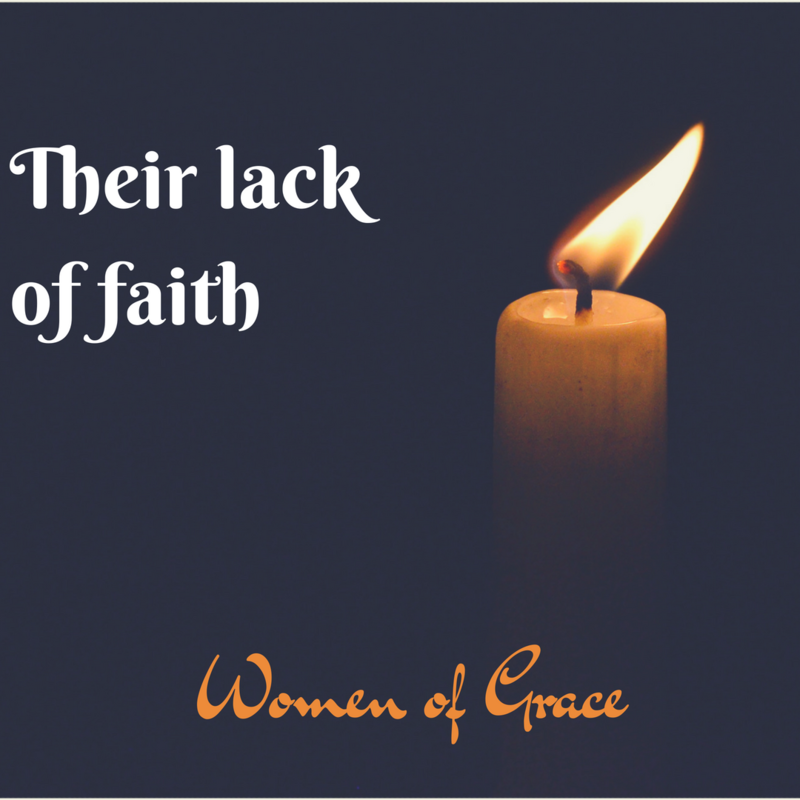 God causes, or allows, things to happen in our lives that test our faith. 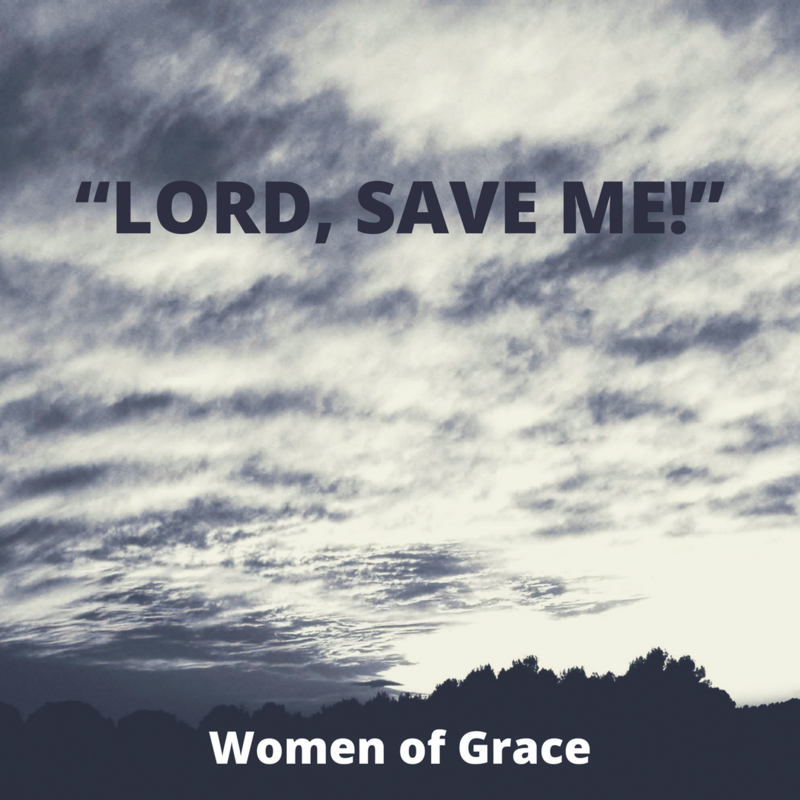 These moments are HUGE opportunities for us to stay focused on Him and to show how faithful we are; yet, when they happen, we also start to sink and start screaming, “Lord, save me!” Currently, God is giving every single one of us an opportunity to show Him whether we are faithful, or are not faithful. The question is… will you look Him in the face, keep walking towards Him, and grab His hand? Or will you close your eyes in fear and sink? I love the idea of each of us having this “best version” of ourselves. In fact, in everything, there is always a “best” or an “ideal”. The problem, though, exists in thinking that anything beneath our “best” or “ideal” will ever bring us as much joy. Think about it- our best… our so-called ideal life is really the life God intends for us; it’s this daily effort to live according to His call and His will. Anything else (meaning, anything less than what He wants from us) is simply not ultimately what He longs for us to have or to be. So in reality, our best version is simply striving to be all He calls us to be. Our best is His will. And it’s never too hard because He doesn’t call us to do things we cannot attain. So, as a result, we each are called to put away the parts of us that aren’t of Him. That old self, the one that isn’t our ideal version, the corrupted nature and the sinful desires, needs to be transformed into the self He has created from the beginning- our best. Tonight, ask Him to strip away all the corrupt parts. What lies beneath is so beautiful…because, well, it’s your best. Imagine the scene when His disciples came to tell Him what happened with John, someone so dear to Jesus. Can you feel the grief, the intense sadness that our Lord experiences in that moment? What if it was someone you knew and loved… a good friend or your family member? How would you feel if someone came to tell you such horrible news? I can imagine Jesus really wept; I can picture His beautiful heart and how broken it must have been at such tragedy. Are you ever tempted to think that Jesus didn’t experience human emotion like we do? That because He was fully divine, He was somehow spared from the pain of sadness? If so, I want to remind you— He was fully human. Tonight, say a prayer for your family and friends and thank our Lord for their gift of life. And remember how precious they are. Do you ever feel like people listen so well to you and take your advice and guidance… except those closest to you? 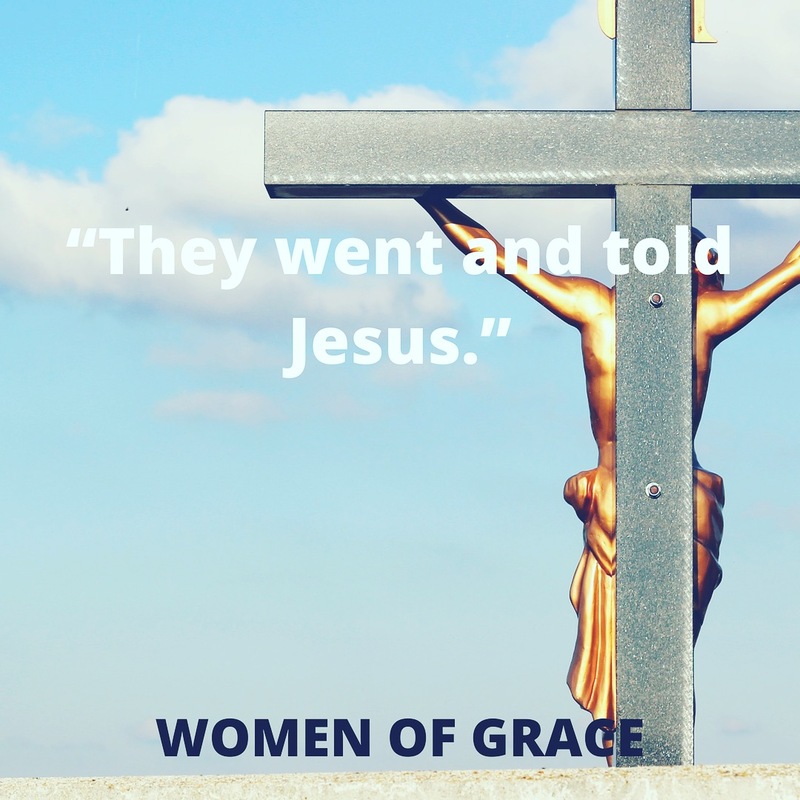 And while I know Jesus didn’t struggle with people remembering His past (the way they do with ours… because of our sins and past transgressions), He still was questioned and second guessed by those He knew well. Jesus was questioned by others, y’all. Jesus of all people! The key for us in dealing with those closest to us is patience, humility, and yep… charity. It can be so frustrating watching those we love struggle with sin and making bad choices; yet, God calls us to love them through it all and to remain a beacon of light and hope as His instrument. In being patient, humble and charitable, we are drawn deeper into our relationship with Him, and thus, He guides us in our interactions. Remember, Jesus struggled with this, and so will we. Ask Him to give you the strength and courage to face those you love with a virtuous and kind heart, and watch Him transform them (and you) in His time! 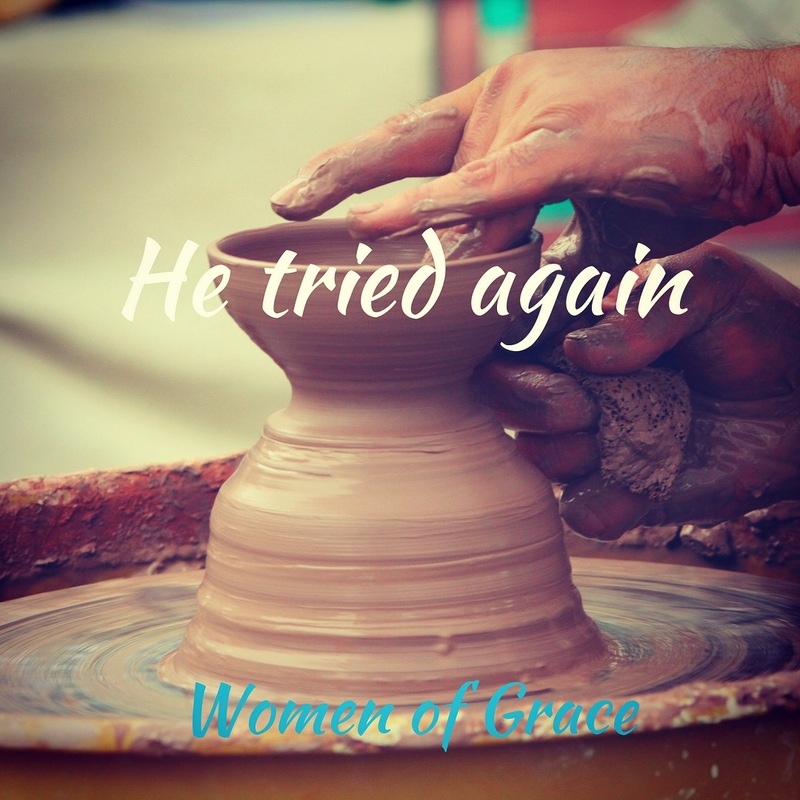 “I went down to the potter’s house and there he was, working at the wheel. I almost want to just stop here and let this reading from Jeremiah speak for itself. But, I do want to share a little. There is nothing that our Lord cannot repair— hearts, bodies, souls, minds… every single bit of us belongs to Him; as the ultimate physician, He can heal anything. Truth: He is always searching and waiting for us; He meets us EXACTLY where we are. He molds us, shapes us, heals us, fixes us, and completes us. He takes our brokenness and repairs it. He takes our wounds and cleans them. He takes our missing pieces and puts them back together again. He is the potter, we are the clay. Never think you are too far gone or too wretched. He is always waiting to bring you home and lead you into eternal Happiness and wholeness. The Gospel of Matthew does an incredible job with imagery, here- treasure, finds, joy, sells all, buys, Heaven, fine pearls, great price. Wow, what a vision! You can picture the Gospel while reading it. // Even more than imagery, the truth underlying this Gospel is so real you can touch it. How often has this been a reality in your own life— that you find something that exceeds everything in your imagination? Not very often, I would guess. That’s because fine pearls and treasure are rare and priceless. The first thing I think of in a natural sense is marriage. A real, true love is a joy that can’t be found every single day. And when you find it? You give everything you can to hold onto it. You let go of anything that keeps you from becoming all you’re created to be in order to allow Him to work wonders. You don’t squander it, and you know you can’t replace it. That’s like Heaven. It requires us to find Him again and again, and to never stop searching for the treasures of virtue He places in our midst. 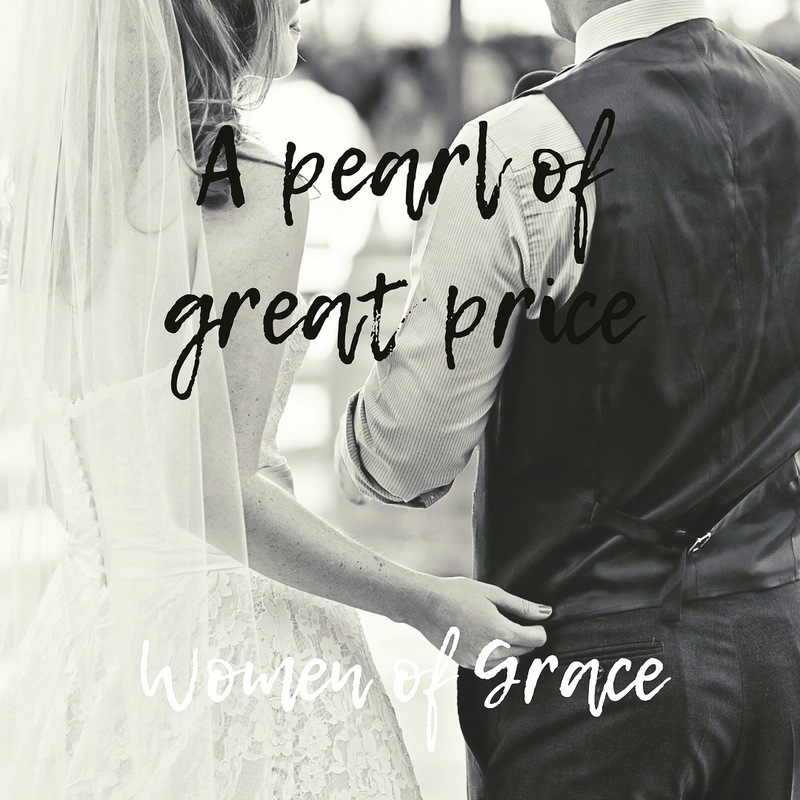 Tonight, thank God for the fine pearls He has put in your life, and ask Him to change your heart ever more in order to prepare you for the ultimate treasure of Heaven. Lately I’ve recognized that when I pray Night Prayer (as my last prayer of the Liturgy of the Hours each day), I rush through the actual examination of conscience and avoid looking over my day and my actions. I assume I haven’t done anything “bad” enough to justify actually pondering the last 24 hours, so I jump straight into the other prayers. Here’s my first mistake: I’m rushed. And the goal for me of praying the Liturgy of the Hours is to formulate a lifestyle that revolves around prayer and not the other way around. So when it comes to Night Prayer? Y’all, I’m failing at it. But there’s good news— I have a loving Father who is ready to meet me where I am and to sow something beautiful out of my, well, laziness. 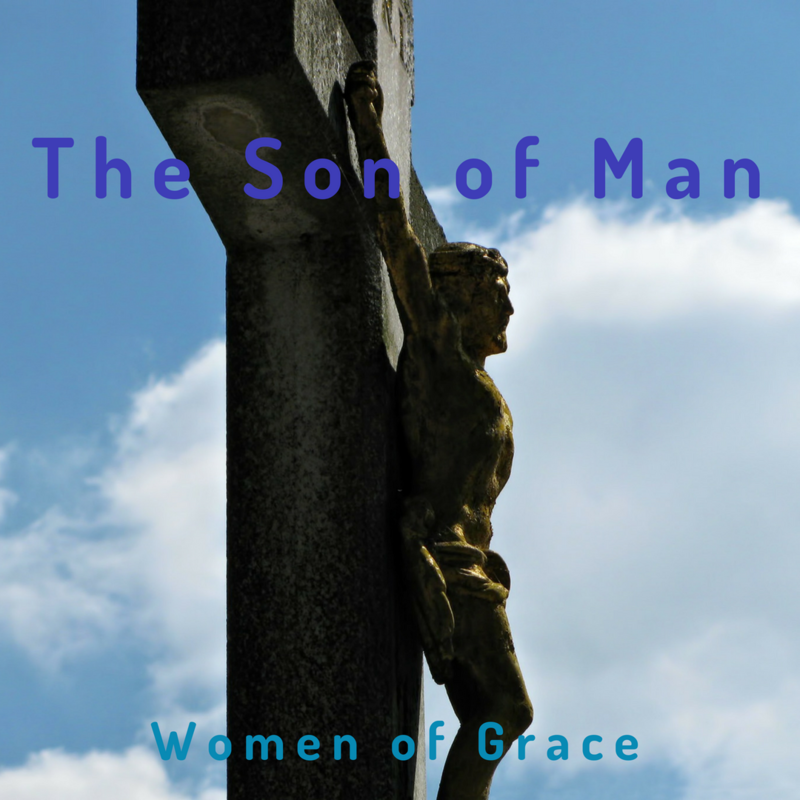 He is the sower of good seed…and if I let Him, I can become whatever He allows me to be. Who are you allowing to sow the seeds in your life? It’s so easy to wash our hands of the things that seem small; but in reality, all the “small” things add up. And before we know it, we aren’t letting Him sow anymore. Tonight, on this special Memorial of St. Ignatius of Loyola, let’s honor him and do a simple examination of conscience. 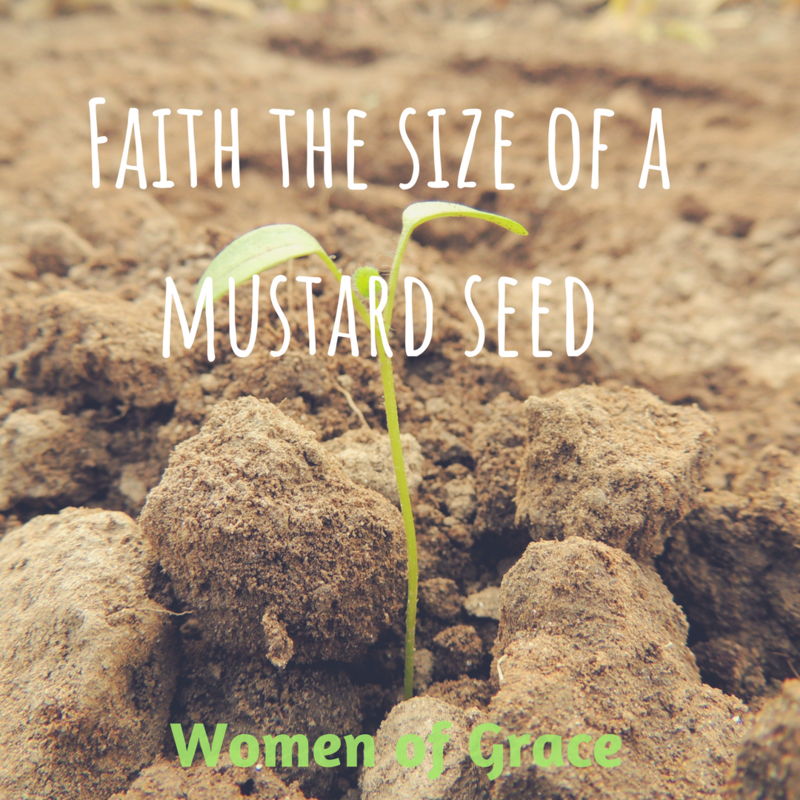 And see how large your faith grows as a result! This verse from the Gospel today makes me think of the beauty of life. We all start in the tiniest form and because of nurturing, we grow into the magnificent creatures we are! From the moment of our conception throughout our entire life, He has formed us day after day. Isn’t that how our faith is supposed to be? Through His grace, we grow deeper and deeper in the supernatural virtue of faith and learn to trust more and more in our Father’s love. God meets us where we are, and He transforms even the smallest of faith. Just like the gift of life, He takes us at our smallest and turns us into His greatest of creatures. Entrust Him with your littleness, wherever you are, and watch Him tend to you. You’ll be blooming in no time!